« Want a Free Jeanne d’Arc Demo Disc for Your PSP? 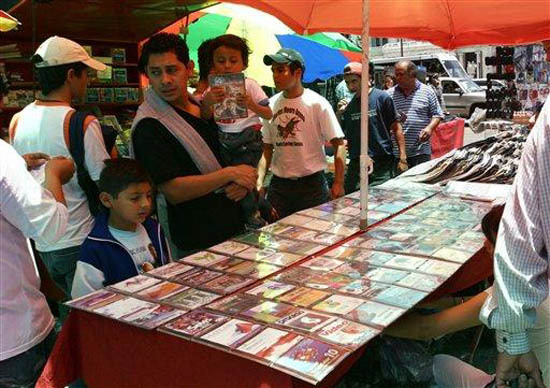 Yesterday, 15,000 counterfeit Nintendo products were seized, including 4,500 counterfeit Wii software discs. In a raid conducted by Mexican authorities. Nintendo has recently been trying to slow down sales losses due to counterfeits in the Mexican region. As I have stated before, Nintendo Thinks they have lost $762 million in 2006 as a result of piracy. This entry was posted on Saturday, August 18th, 2007 at 1:51 pm and is filed under Nintendo. You can follow any responses to this entry through the RSS 2.0 feed. You can leave a response, or trackback from your own site.